The Many Watsons is available from all good bookshops including in the USA Amazon andBarnes and Noble, in the UK Amazon and Waterstones. For elsewhere Book Depositorywho offer free delivery worldwide. In ebook format there is Kindle, iPad, Nook and Kobo. An Ill-dressed Vagabond is one of the most respected Sherlock Holmes reviewers in the USA. Here is his review of Molly Carr’s fascinating biography of Dr.Watson from May 2011. “This book is a study of the sources and uses of John H. Watson as presented in the sixty Sherlockian tales written by Sir Arthur Conan Doyle. The author examines the relationship between the characters of Holmes and Watson in a careful fashion to determine why Doyle chose to create Watson as both a foil and a counterpoint for Holmes and how that choice affected the style and development of the stories over the forty years in which they were written. In addition, similar characters in Literature are discussed and analyzed to provide examples of alternative methods and the problems involved in using such figures. While this seems to be a simple task, it is really anything but simple. The unique nature of Sherlock Holmes as an Archetype of Literature, ‘The Great Detective,’ is actually dependent on the methods Doyle used to present him. These methods all come down to using Watson as narrator, question asker, foil and stalking horse. The two personas of Holmes and Watson together allow the author to select the data to be presented to the readers in a very careful fashion. Holmes can maintain his own counsel without revealing answers before the author is ready. In addition, space and time can be devoted to various items of byplay between the two that constitute ‘filler’ for the stories that would otherwise be rather dry and dull. In addition to a discussion of the methods Doyle used in writing and the uses he made of Watson, the author needs to discuss the many controversial features of the Sherlockian tales. These include time and dating problems, names of both persons and places, and identification of real events and persons, either included in or excluded from the tales. Most of these discussion items are familiar to Sherlockians, but are presented here in a comprehensive fashion with analyses of several different approaches and aspects. Total agreement is not really possible, but the author works to untangle the mare’s nest and to explain many of the sources of the problems. Finally, the inspiration for names and places mentioned is examined and several ideas are offered that may help readers to understand what might have been in Doyle’s mind at various times. Several surprising triggers are identified and others proposed as real world inspirations for places, persons and events that showed up in the tales. 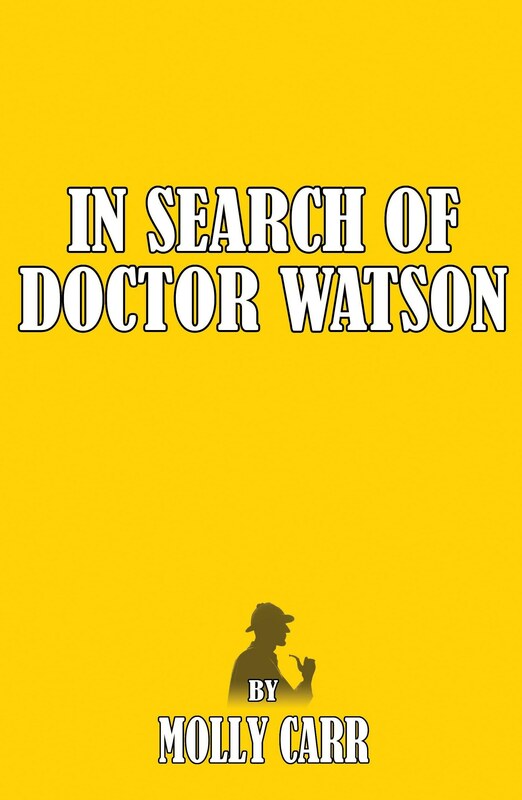 In Search of Dr Watson is available from all good bookstores and in all formats worldwide including Amazon, Barnes and Noble, Amazon Kindle, Kobo Books and iBooks (iPad/iPhone). A Study in Crimson is the second adventure of Mrs. Watson and Emily Fanshaw. Already dubbed ‘The Female Sherlock Holmes’ Molly Carr’s character is proving very popular with Holmes fans. Here is the review from the leading Sherlockian Group in Wales – The Deerstalkers of Welshpool. “Molly Carr has produced another book about her two female detectives, mutated from minor characters in the Holmes stories. I think it helps if you have read the first book [The Sign of Fear], as that explains the strange hypothesis that Watson was a fake. The book is more a series of short adventures than a novel. These show imagination, and a wicked sense of humour. Most of the results of the investigations are accidental, rather than being due to the skill of the offbeat female detectives. A Study In Crimson is available from all good bookstores worldwide including Amazon USA, Amazon UK, and in a variety of formats including Kindle, Kobo and iBooks for the iPad.